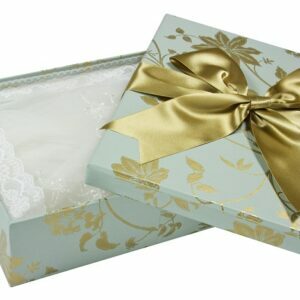 Your Mother Of The Bride/Occasional Wear will be cleaned using our unique Baptiste Process®, steamed, and returned to you in a white transit box, protected with acid free tissue. This service is idea for pre-wedding gowns and those requiring a quick turn around as we can ensure your gown is returned promptly. This service is also available for Wedding Gowns, Adult Bridesmaid Gowns, and childrens Bridesmaid Gown cleaning too.